It has been several years since the word podcast originated, and today many people continue to be confused about what constitutes a podcast. People have been producing audio and video and posting it online the past several years and many have mistaken this for podcasting. However, one very important element is missing. In order to make posted audio and video files a true podcast, the proper technology needs to be in place to allow automated content downloading and syndication. Podcasts utilize software such as iTunes, Juice Receiver and others to automatically download to a computer desktop that then can seamlessly be placed (synched) onto a portable media device. This auto downloading and synchronization has caused podcast consumption to explode. To date, almost all portable media players can be automatically synchronized with podcasts. So what is a podcast? 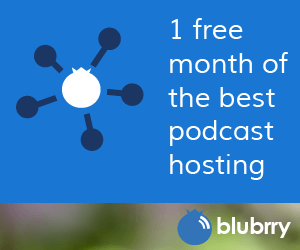 Essentially, a podcast is downloadable media that can be consumed at any time. With the ability to download new content to computer, say, while you sleep then by simply syncing it to your media player in the morning, you have fresh content for the rest of the day. You can also download podcasts on your mobile device whenever you want, without synching anything. This is the power of walk away content: The ability to feed your brain with audio and video content that interests you. Several podcast sites allow you to listen or watch right from the website without having to subscribe, download or sync anything. Simply consuming a few podcasts will better enable you to understand many of the other dynamics of podcasting. On our site you are able to explore the expansive and diverse world of podcasts.